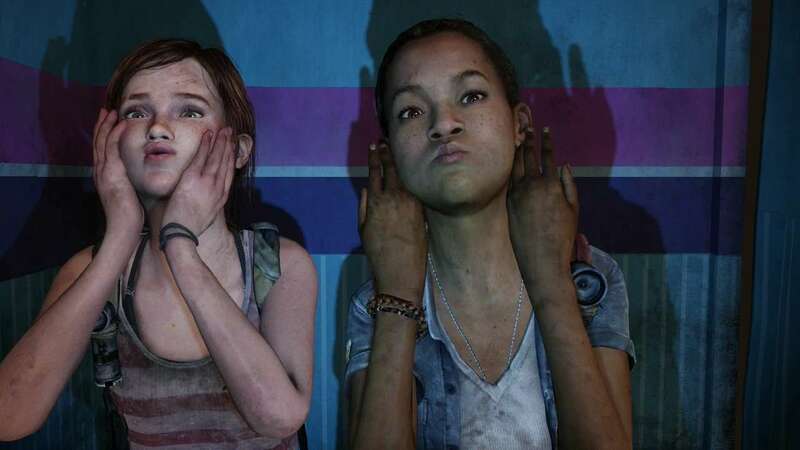 Nearly 10 months later, we finally have the sole story DLC for The Last of Us, Left Behind. While it showcases the presentational strengths of Naughty Dog’s excellent game, and most of the excellent writing, at $15, your mileage may vary. For me, this piece of story DLC contains the strong combat and stealth but lacks much of what made the original game so memorable, which is an incredibly well-written, unpredictable story with very believable characters and situations. Instead there is a “twist” that seems to be rather pointless and serves to placate political correctness and subvert tropes, rather than reveal anything truly significant about the characters. Clickers return in Left Behind and are just as deadly as ever. While it’s been known for a while that Left Behind would take place before the events of The Last of Us and would feature Ellie and her friend, Riley, what wasn’t known, is that just as much takes place during the events of The Last of Us. I won’t dare spoil when this is for anyone that hasn’t played it, but I was pleasantly surprised by this – it’s really well-done, and does a very good job of justifying why combat is in this game. The pacing of these two flashbacks/current moments, works really well and neither outstays their welcome, giving the game a sound structure, though it is all relatively brief at anywhere from 2-3 hours of gameplay, depending on the difficulty chosen at the outset. The flashbacks are where we get the real story elements of the content, and for the most part, it’s incredibly well done and, at this point, quite Naughty Dog. Facial animations, voice acting, the dialogue, is all top shelf and a great reminder of how good the original game was. There are plenty of nice little touches and conversations and it’s greatly appreciated that these quiet moments are every bit as effective as set pieces in an Uncharted game are, just in a different way. We get a real sense of the innocence Ellie possesses and it gives a great insight into who she is when we meet her in the main game. Left Behind does an excellent job of showing a kid growing up in this broken, withered world and how she still has fun despite the horrors that lay outside of the quarantine zone of Boston. For example, early on Ellie and Riley enjoy a game that involves smashing out windows of two SUVs inside the mall. It’s a fun moment, that gives us a lot of information while never removing control from the player. Thankfully, moments like this are peppered throughout the DLC and expand upon a character I have already become quite fond of. 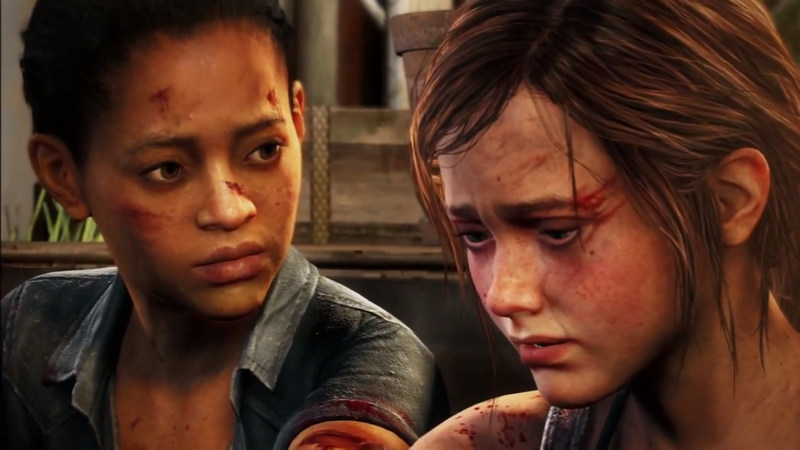 Making all of this work is yet another great performance by Ashely Johnson as Ellie and newcomer to The Last of Us, Yaani King , as Riley. Both young women give excellent performances and really sell their relationship in ways the overt and obvious moment towards the end couldn’t. The present day elements are where the real gameplay moments come in and involve much of the same stealth, combat and crafting of the original game with one very clever wrinkle. 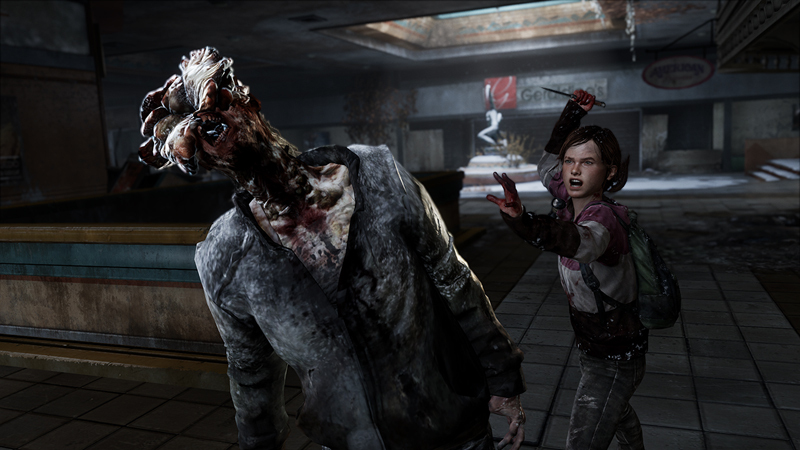 Several times throughout this sections, Ellie will come into an area that has both infected and human hunters. Instead of taking on both groups, a well placed brick or stray bullet in your direction will cause both to fight each other, thus making it easier to get by unscathed. It’s a great little element that I wish would have been thought of for the main game and hopefully will be implemented into the rumored sequel. There are cute moments like this throughout the 2-3 hour campaign. Yes, I said “cute.” What of it? If there are any negatives to be leveled at the content, and I have two specifically, they are both objective and subjective. Firstly, this being a prequel, there is very little to be offered in the way of surprises, unlike the first game which I was never really sure how every beat would turn out. We know where Ellie ends up in both of these cases and while it’s a neat aside, this story doesn’t feel essential in any way. Objectively, prequels by design, offer very little in the way of suspense because we already know what happens. My other issue, and this may prove controversial and entirely subjective, is with the one “surprise” the game does offer, which is both telegraphed and in my opinion, wholly unnecessary. Again, I won’t spoil it for anyone who is reading this and hasn’t yet experienced it, but I will say that it felt forced though agenda and wanting to subvert tropes in gaming rather than a natural extension of the character. It seems entirely motivated by wanting to be be politically correct and in the current social climate, doesn’t feel brave anymore – it just feels tired and trite. I know full well that there are many that will applaud its inclusion here, but for me, it just made me roll my eyes. Am I being insensitive? Possibly, but I can’t really seem to care. Again, this is entirely subjective so what the player gets from this will vary amongst them. Unfortunately, this being a prequel, there is very little in the way of surprises. At the end of the day, I can’t say it’s $15 well spent because I had a full experience with The Last of Us and this feels exactly like what it is – a side story filling in blanks that really didn’t need to be filled. It’s a fun enough piece of content with some really strong moments and gameplay, but overall, I don’t think anyone is missing anything if they skip it or wait for the inevitable Game of the Year Edition. Sean completed the DLC in about 3 hours on normal difficulty. The version review was purchased by Sean on PSN and was not provided by Sony for review.